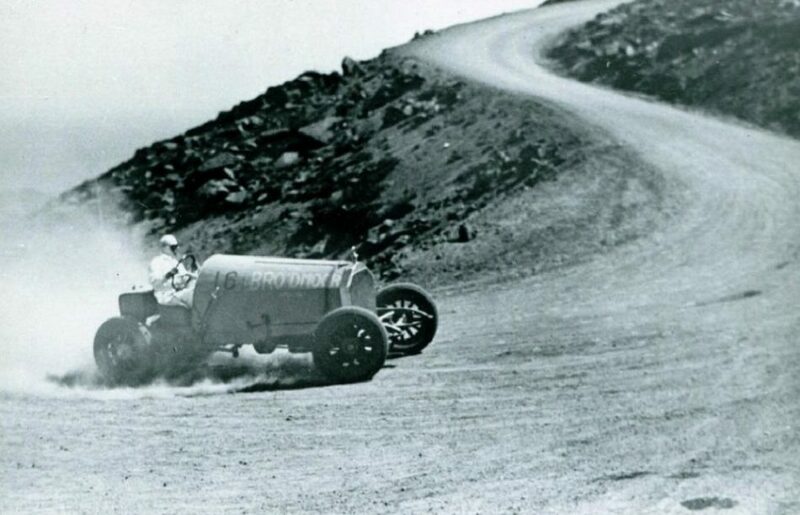 How exactly do you celebrate the centennial of an iconic hotel built back in 1918 by real estate and gold mining baron Spencer Penrose who in his free time sped up hairpin turns in his “Yellow Devil” Pierce Arrow race car on a dirt road all the way to the summit of Pike’s Peak’s? You start with fireworks, champagne, special packages, and themed events scheduled throughout the year but fully immersing yourself in all The Broadmoor has to offer is perhaps the most commemorative of them all. 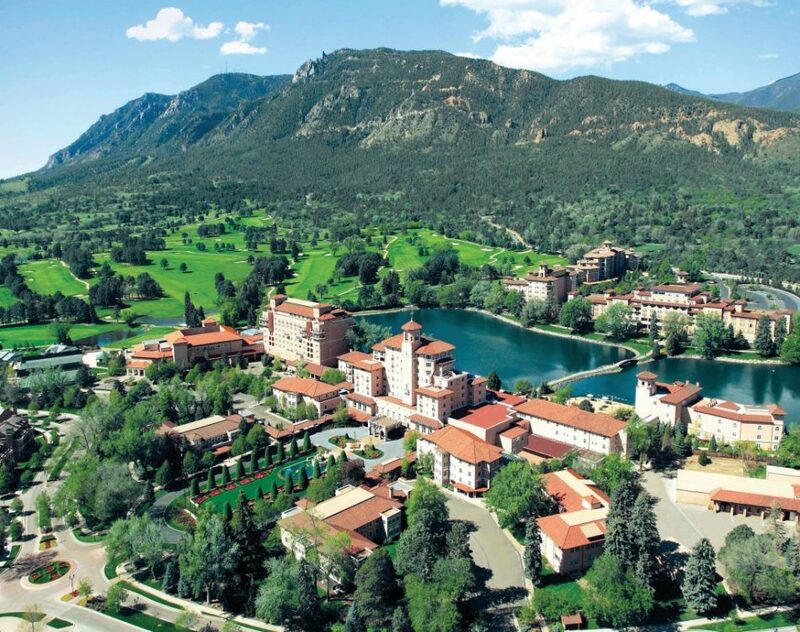 A village unto itself, The Broadmoor has expanded exponentially from its early days to include a wide variety of lodging options ranging from 779 hotel rooms and suites, streets lined with brownstones outfitted with Chefs kitchens, wine cellars, and private terraces; 6 cottages nestled along the property’s 18th fairway, and a 5 bedroom 12,000 square foot Estate House built in the 1930s exuding Gatsby-esque elegance and style. But the full Broadmoor experience embodies even more off campus in the nearby mountains including 3 Wilderness Experience Lodging options as well as several Outdoor Adventures fully immersing you in Colorado’s rugged beauty. 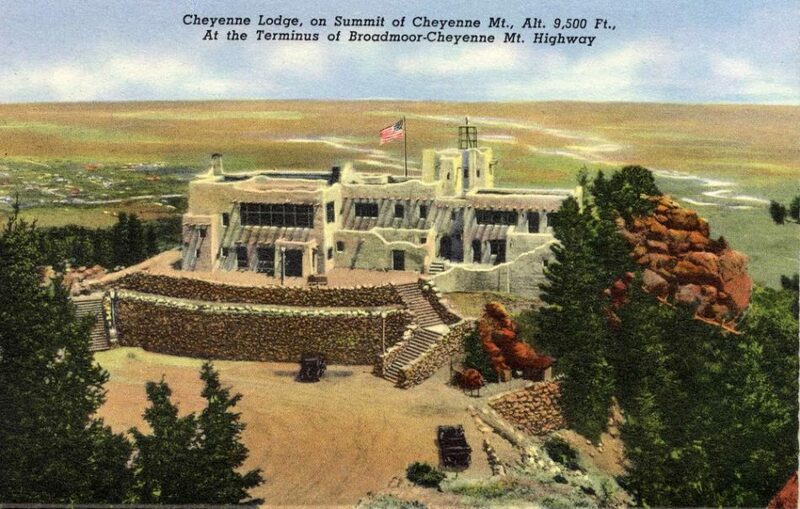 Directly behind The Broadmoor, a road winds past Cheyenne Mountain Zoo< and Will Rogers Shrine where the ashes of Spencer Penrose and his wife Julie are interred and then to where it's gated for the remainder of the journey winding upward another 3,000 feet to Cloud Camp with unobstructed 360 degree views overlooking Pikes Peak. It was on this site that Penrose built the original Cheyenne Lodge in 1914 where it remained until 2010 to make way for what you see today. 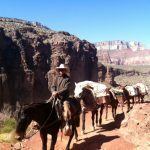 You can either arrive by mule, a 3 hour hike on a network of trails, or by Cadillac Escalade. The current 8,500-square-foot main lodge is built from historic hand-hewn beams and indigenous stone. 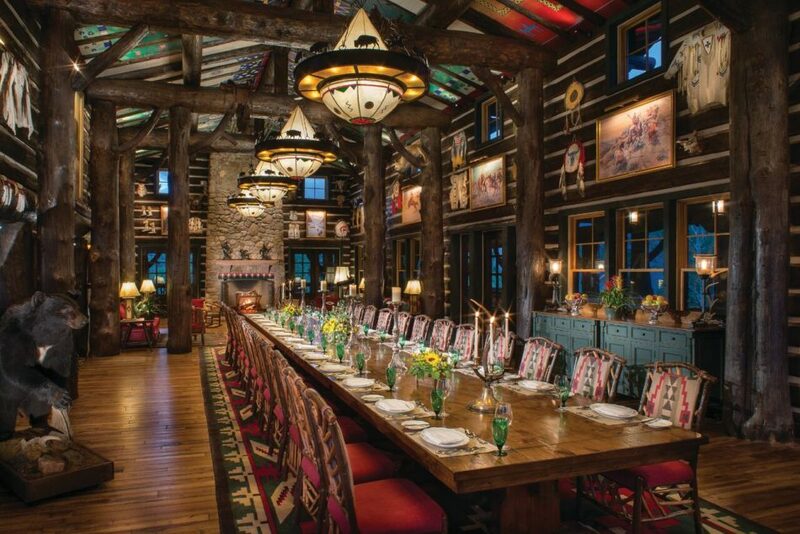 Walls are adorned in Native Art and memorabilia including a beaded calf skin shirt worn by Kevin Costner in Dances with Wolves. A long dining room table seating up to 32 guests in the Great Room is appointed with an expansive wrap-around deck making you feel like you’re in a tree house gazing out over the canyons. 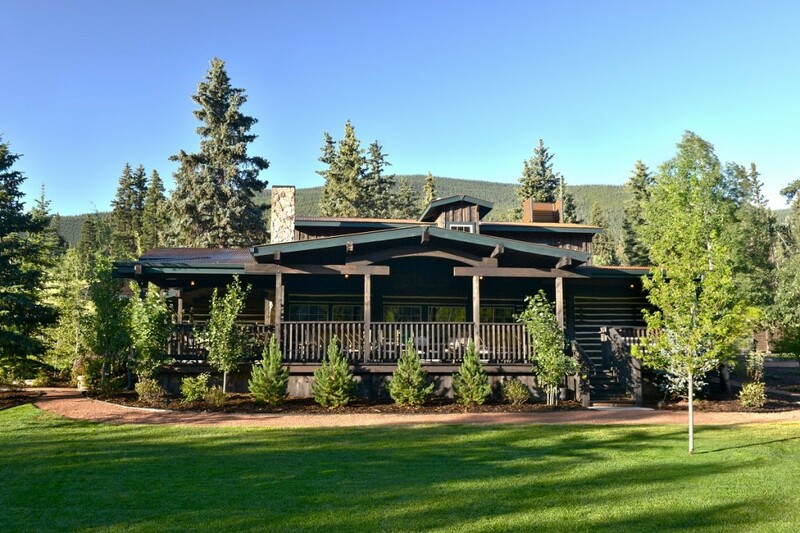 6 rooms in the main lodge are accompanied by 11 one- and two-bedroom guest cabins with their own private porches and spectacular views while the Fire Tower Suite, perfect for honeymooners, overlooks Colorado’s Front Range and plains to the east. Fresh, locally-inspired meals await including 3 course dinners featuring classics like Braised Beef Bourguignon, Roast Long Island Duckling, Maine Lobster Bisque, and Brook Trout à la Stasbourgeoise recreating what Spencer Penrose dined on at his lodge back in the day finishing it off with Pear Clafoutis and Tart Tatin accompanied with après dinner hot apple toddies. Evening libations figured prominently with Penrose. After losing an eye to infection, he had 2 glass eyes made for him, one clear that he wore by day and the other bloodshot that he swapped in when under the influence. Situated 8,200 feet above sea level surrounded by over 100,000 acres of Pike National Forest, the Ranch at Emerald Valley features 10 cabins with gas fireplaces, sumptuous furnishings, and all inclusive service. Spend your days fly fishing in pristine mountain lakes, hiking and biking along scenic trails, or exploring the mountains on horseback. Unwinding at the end of the day involves your favorite wine in hand soaking in an outdoor spa tub on a panoramic terrace overlooking classic Rocky Mountain sunsets. 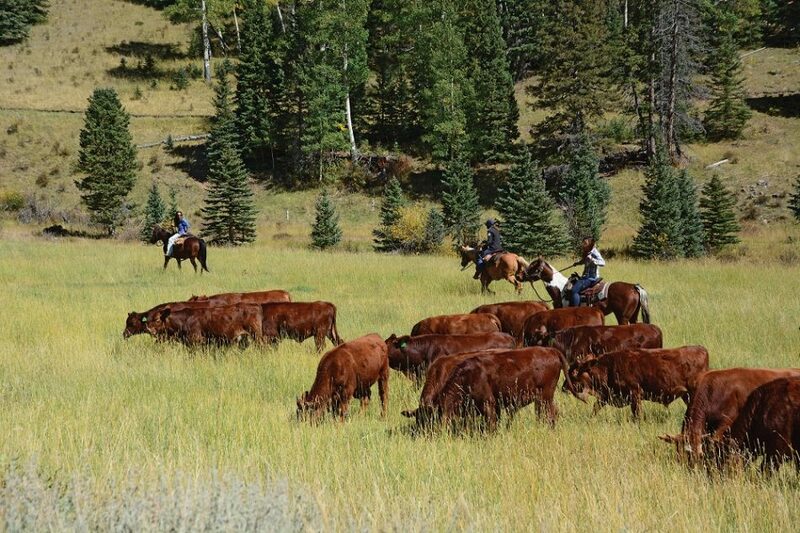 Dedicated ranch staff help you try a hand at cattle herding on horseback at nearby 3,200-acre Elk Ranch founded in 1888 on a slope of Pikes Peak recognized by the Sierra Club as the largest canyon system without roads between Wyoming and New Mexico. 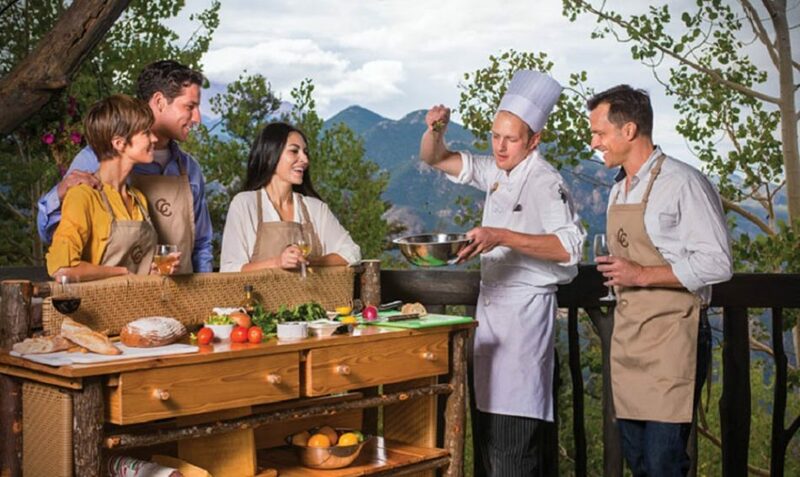 Dishes are scratch made with Colorado raised lamb, Eagle’s Nest Ranch Wagyu beef, vegetables from Broadmoor Farms, and wild berries grown on the ranch. Libations are best taken at Olde Swan Tavern overlooking ponds and a mountainous backdrop. Twice weekly cookouts take dining out under the open sky. 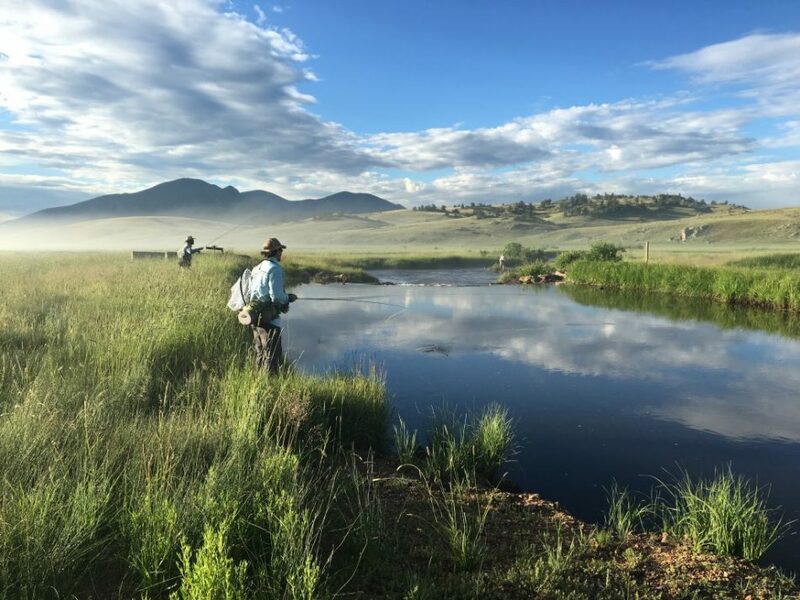 Located 75 minutes west of the Resort along a private 5-mile stretch of Colorado’s famed Tarryall River, The Broadmoor’s Fly Fishing Camp pairs world-class trout fishing with expert instruction if desired. 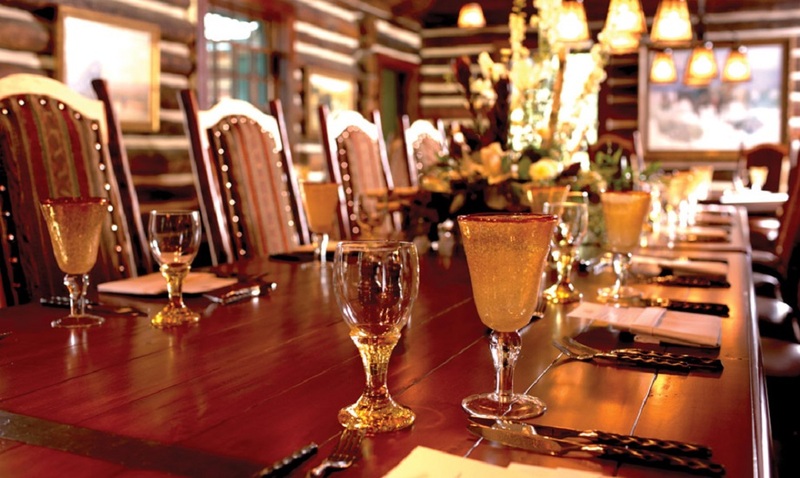 By day the camp is open to all Broadmoor guests while at night, rooms are available in the recently restored Main Lodge with wraparound deck or in one of the surrounding 7 original yet upgraded & well appointed miners’ cabins dating back to the 1940s. Fly fishing waters vary from timbered canyons best suited to nymphs while calm grassy meadows and winding bends contain plentiful wild brown & brook trout that rise to dry flies. Off river exploration of forest, underground streams, and unusual rock formations on foot or by horseback awaits on nearly 120,000 acres in the Lost Creek Wilderness. 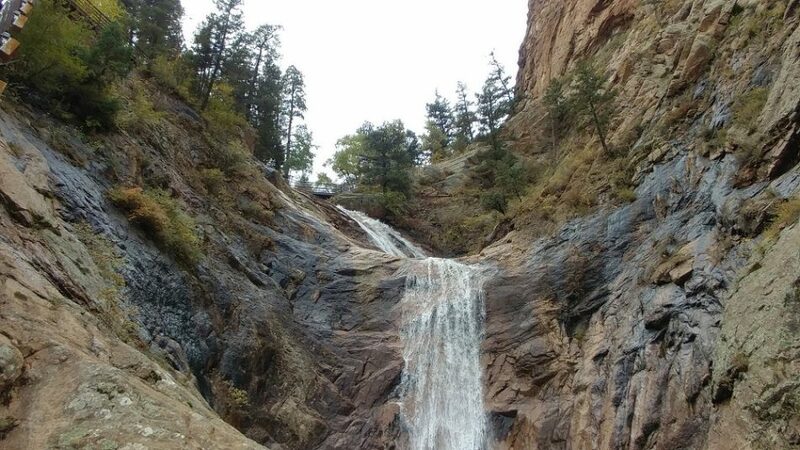 Only 5 minutes from The Broadmoor, mountain streams from Pikes Peak converge at Seven Falls, the only waterfall in Colorado designated on National Geographic’s List of International Waterfalls. The towering pink granite Pillars of Hercules flank steep-walled South Cheyenne Canyon amplifying its grandeur in their rise to over 900 feet above the canyon floor narrowing to a mere 41 feet apart. Water cascades 181 feet down the head of this box canyon, dancing from each granite face in 7 distinct leaps. Take the 224 steps leading up the falls to observation platforms as well as 2 trails at the top for further exploration. 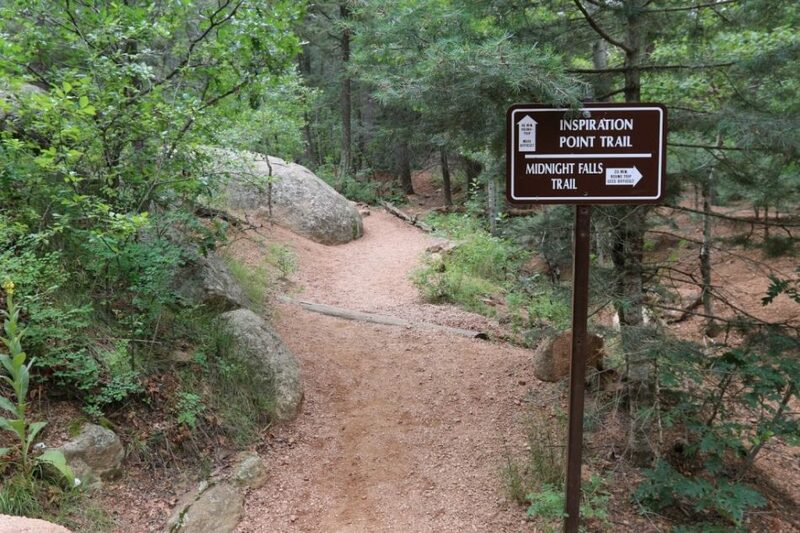 Opened in 1883, the 1-mile Trail to Inspiration Point provides sweeping views of the Great Plains and Colorado Springs below and passes the grave site of renowned poet Helen Hunt Jackson who drew inspiration for her creativity here and requested it as her final resting place. The other shorter Trail to Midnight Falls leads to a small waterfall near the headwaters of South Cheyenne Creek. 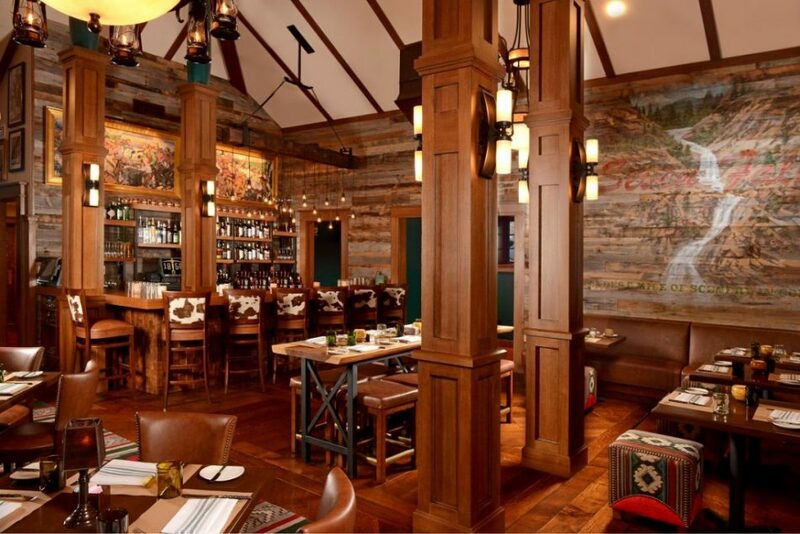 Situated right at the base of Seven Falls, Restaurant 1858 takes its name from the Gold Rush along with its famous Pikes Peak or Bust motto serving authentic Colorado cuisine in a rustic setting of hand-hewn stone, reclaimed wood with custom mining lantern light fixtures, and an outdoor patio overlooking the water. 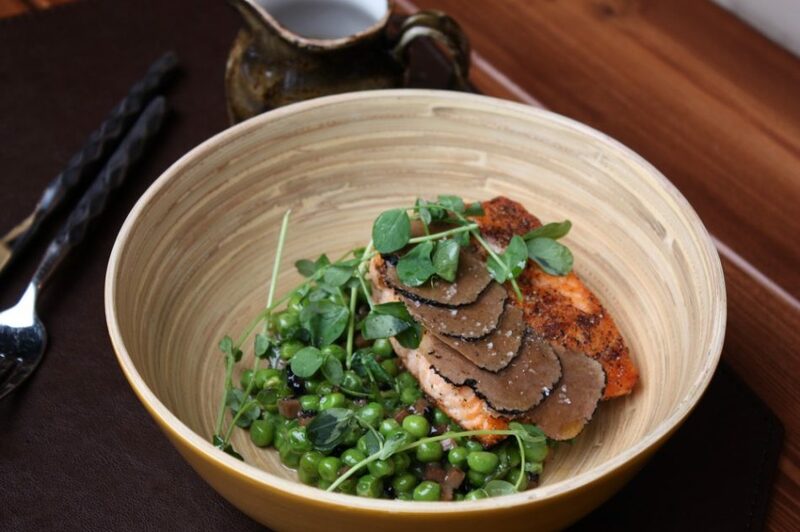 Game dishes like Wild Boar Green Chili and Colorado Rocky Mountain Trout cooked & served in a cast iron skillet reflect the prospectors culinary influences just as much as surrounding terrain’s bounty. 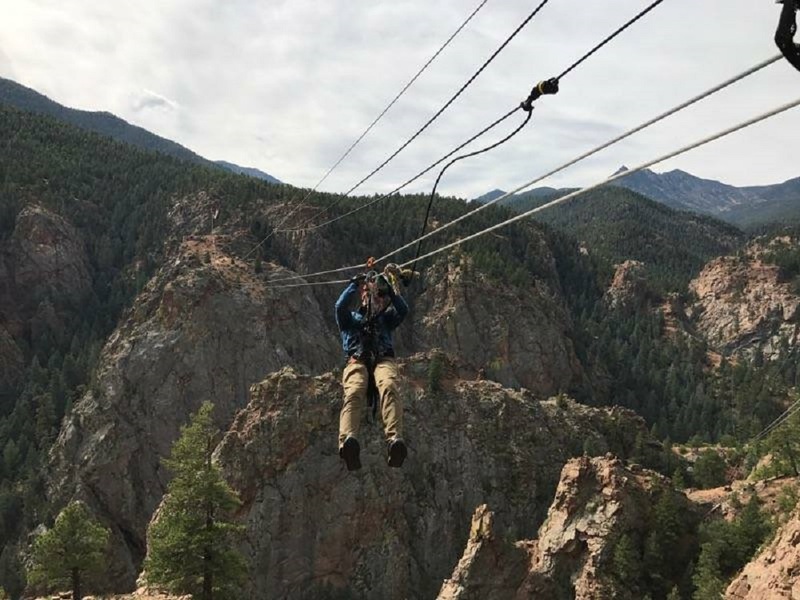 Zip lining high above South Cheyenne Canyon and Seven Falls gives you a whole different perspective that can’t be experienced from the ground. Expert guides outfit you with harnesses, helmets, gloves and teach you how to safely navigate the course in a 15-minute “ground school” before embarking on an Indiana-Jones-style adventure. Accompanied at all times by 2 guides, 10 zip lines are divided between 2 courses ranging in distance from 300 to 1,800 feet. 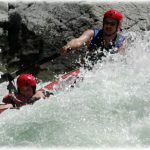 The Woods Course cruises over Midnight Falls and trails leading to Seven Falls while the Fins Course takes you over steep drops, unique rock formations, jagged cliffs, across Seven Falls Canyon via custom-built suspension bridges, and then a controlled 180-foot rappel to the canyon floor below. 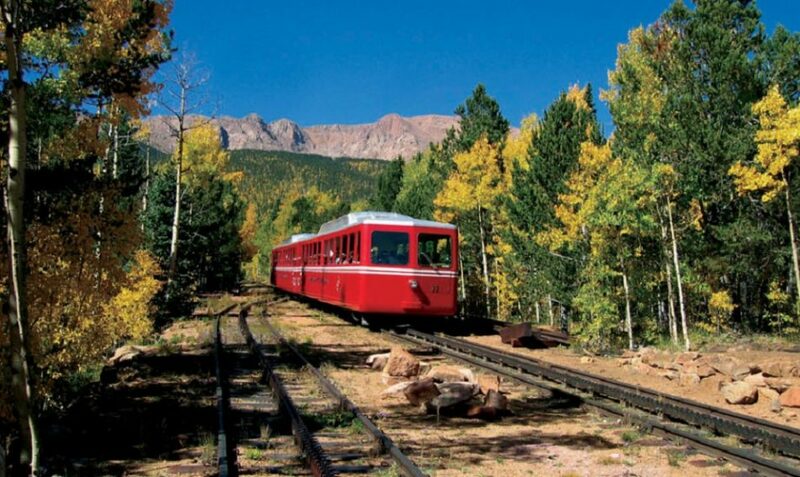 The world’s highest cog train on 8.9 miles of track operating since 1891, The Pikes Peak Cog Railway takes you to the 14,115-foot-high National Historic Landmark summit of Pikes Peak. 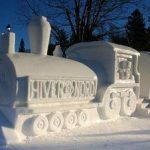 Spencer Penrose bought the railway in 1925 and remains under Broadmoor ownership to this day. 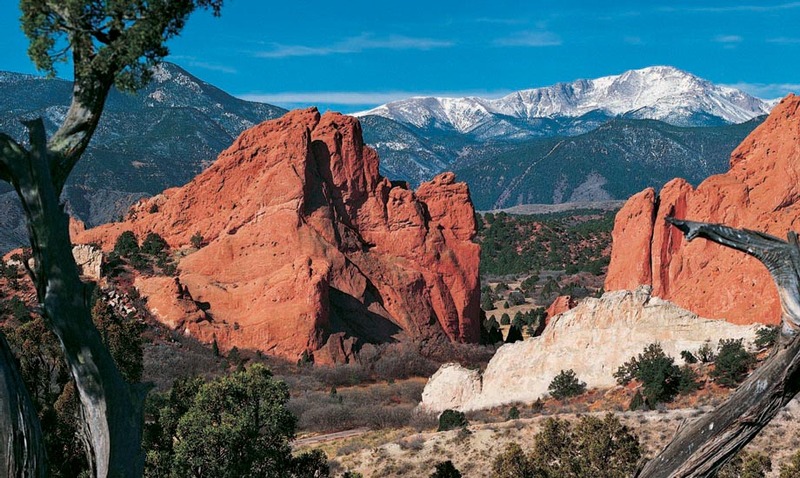 Views of 4 states, the peaks of the Continental Divide, and the cities of Denver, Manitou Springs, and Colorado Springs inspired Katharine Lee Bates to write “America the Beautiful”. 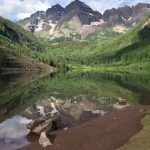 As you climb in elevation, the landscape transitions from lush high plains, pristine aspen groves, Ponderosa pine forests punctuated with dense Englemann & Colorado blue spruce, 2,000 year old Bristle Cone pines, to fragile alpine tundra above the timberline. In addition to plentiful sightings of elk, deer, and bear, be on the lookout for Bighorn sheep and Yellow-Bellied marmots. 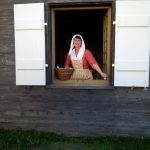 Photos courtesy of The Broadmoor, Penrose Heritage Museum, & Steve Mirsky. Coverage made possible by participating in a sponsored visit.